Earth lies ruined in the aftermath of a nuclear war. The few surviving humans begin researching time travel, in hopes of sending someone back to the pre-war world in search of food, supplies, and hopefully some sort of solution to mankind's imminent demise. The protagonist is a man whose retention of a single, vague childhood memory (that of witnessing a murder on the jetty at Orly airport) is the basis for his being chosen to travel back in time. 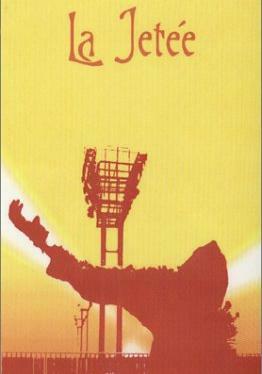 His journey leads him towards an enigmatic and paradoxical destiny. The most heartbreakingly despairingly romantic science fiction film ever made. 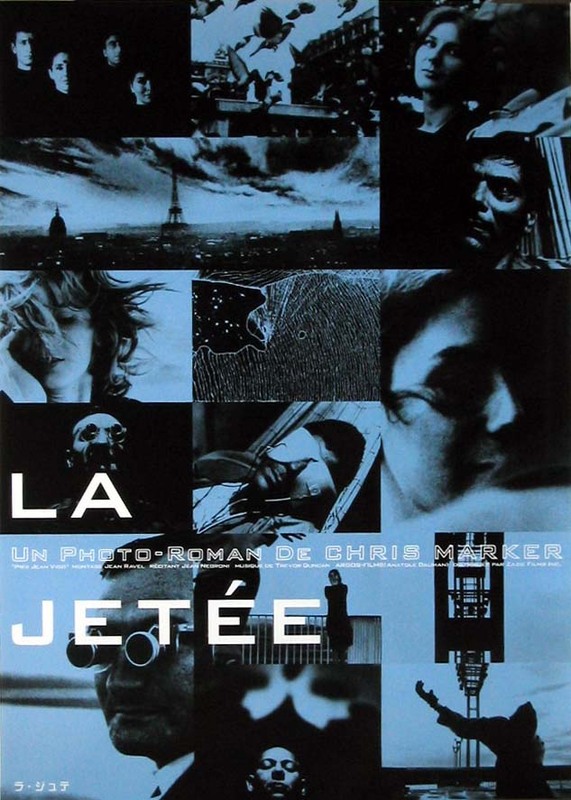 'La Jetee' is a film about movement made up entirely of photographic stills.Well, not entirely.For one transcendent moment the photo moves, ironically at the film's stillest moment, as a woman we have starred at sleeping in the sunny dawn wakes up.It is typical of Marker that a film spanning centuries, millenia, war, torture, experimentation, murder, dreams, time travel, destruction, love, joy, should have as its epiphanical moment an elusive, delusive moment of utter calm, that of a sleeping woman opening her eyes.In a film whose body is the stuff dreams are made on, such a moment is truly cataclysmic. 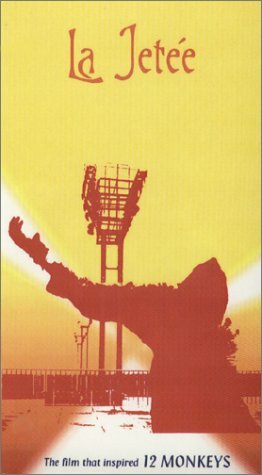 Like all Marker's masterpieces, 'Jetee', ostensibly a work of science-fiction, is profoundly concerned with Time, Memory and History.Such abstracts treated in lesser hands have a tendency to become vague, airy, removed from life, but Marker, the old leftist, always grounds his philosophy, humanisises and politicises it. 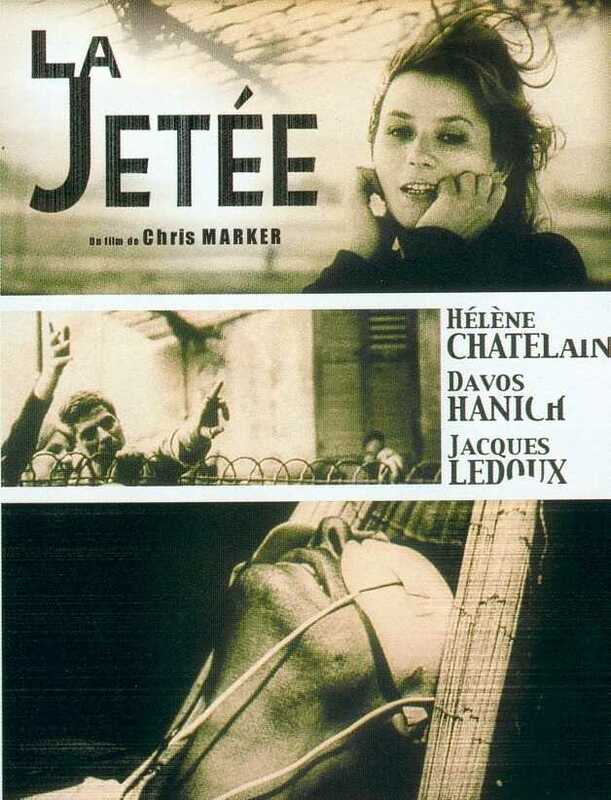 'Jetee', though a short, is rich with ambiguity and irony - the freedom of dreams, to reinvent the past, to escape from circumstances, is exploited by a totalitarian oligarchy, and ultimately fatal for the dreamer.Such is our desperate need to dream, to escape, forget/reinvent, that it is easy to forget that the Man's relationship with the Woman is a phantom, an entire history blown out of a brief glimpse, like that Baudelaire poem where he is stunned by a brief glimpse of a woman he never sees again. It is this act the tyrants need, this gesture of recreation - by embodying what never happened, by making real or factual what is ultimately desire, he has destroyed history, this paves the way for the vision of 3000, where history is destroyed, and along with it humanity, a Houhnyhm-land of disembodied intelligence.This idea of the death of history, of the victory of post-modernity, would be most eloquently in Marker's chef d'oeuvre, 'Sans Soleil', which was shown with this film at the screening I attended. But Marker's great achievement here is his creation of the future as a regression, as a descent into medievalism, part-Les Miserables, part-Occupation, with all the signs of French progress and pretension destroyed, with all Haussman's modernity and prosperity run to earth by nuclear contamination, the survivors living in sewers with rats, as their ancestors once did. Marker's vision is terrifying in its mixture of ruined symmetry and a sickening moral blackness, the general silence punctuated by impenetrable whispers and noises - this is one of the most frightening soundtracks I've ever heard.This medievalism also means a bypassing of the intellect, of literal Enlightenment, and back to a kind of spiritual murk, with pastiche sacred music flooding the film, and parodies of religious kitsch obtruding (the godlike light seeping into dense interiors, religious slogans, the compositions of survivors like beatified saints) on the relics of civilisation, the graffiti, the now-impenetrable codes. This chaos is contrasted with the Paris of the dream, especially in the museum scene, even more chilling with its statues looking like petrified relics from a volcanic disaster, the mute, stuffed animals warning humans of their fate, the exquisite composition of architecture, trapping the couple in a web of order, boxes, classification, obsolescence, the doomed attempts by mankind to order the universe. yet this dream is so moving because it offers love, connection, gardens, talk, dreams, Paris, even if they are illusory.because, although this is a dense, difficult, allusive, modern film, it also illuminates a simple, ancient truth 'In the midst of life, we are in death'.As Morrissey once responded, 'Etcetera'.